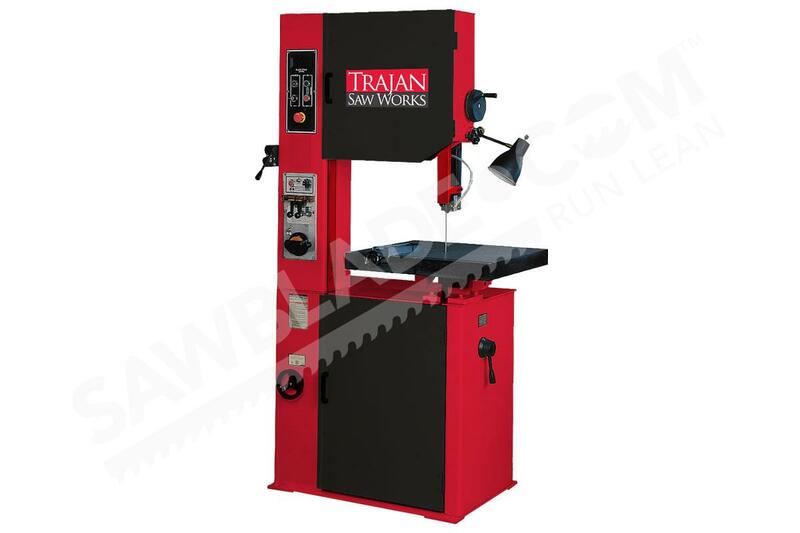 Built for heavy-duty production use, the Trajan VBS-2012 is designed for multiple uses, used for metal cutting as well as wood working. The variable speed drive combined with a two-speed gearbox provide a wide range of blade speed settings that can easily be read on the digital blade speed readout (standard equipment). The blade guard adjusts easily by means of hand wheel and lock. A Multi-tilting worktable makes it possible to cut at almost any angle. Standard equipment includes: blade welder, grinder, and cutter; worklamp, chip blower, and a blade and tire cleaning brush.